Alexa’s basic measure to determine your Alexa, is traffic to your site. 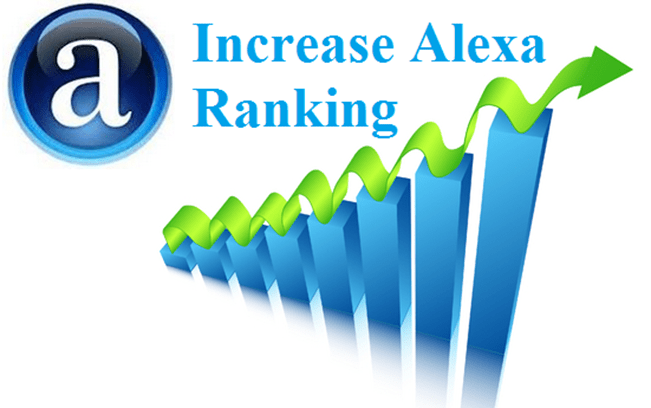 Based on the traffic to your site the Alexa Rank varies. Basic idea is to get traffic to your domain. So in context to Alexa, here are the ways to improve Alexa Rank. Writing engaging content will add value to your readers. More you write engaging content, more interaction you will create with your readers. Hence bring more traffic. Backlinks is the number one signal that Google considers to rank to your webpages. Consider gaining backlinks that will make your website more authoritative. More authoritative sites are ranked higher and hence get more traffic. Alexa has some amazing tools that can help you find competitor’s keywords. This helps you get in the same league as they are. This helps you get almost similar amount of traffic they are getting. What’s working for your competitors might just work fine for you too. Pay a close attention to the strategy. It also gives you a clear picture of what you should be doing in order to reach the level your competitor is.